People here seem to take breakfast seriously. Instead of grabbing and going, it is more a sitting down, drinking a cup of tea, reading newspaper, and having a chat type. 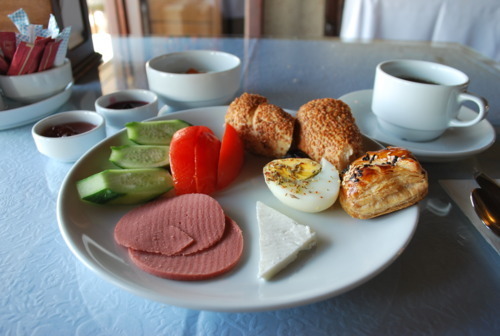 Turkish tea is definitely a popular breakfast drink, while in my observation coffee is more enjoyed in the afternoon. 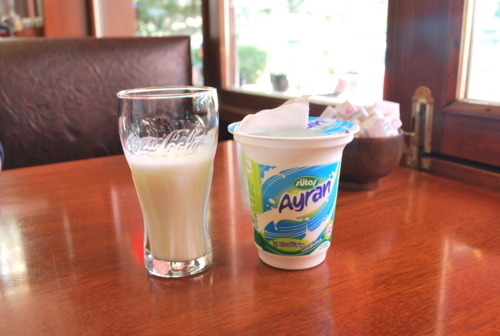 There is also a local yogurt drink with a slight taste of saltiness. 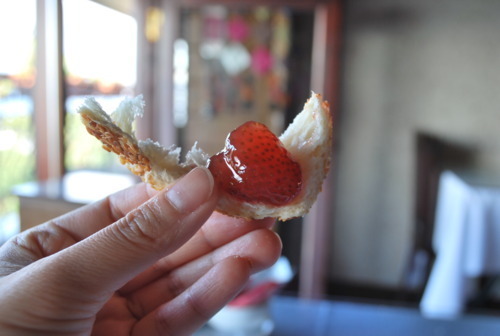 Pastry choices for breakfast are plenty. 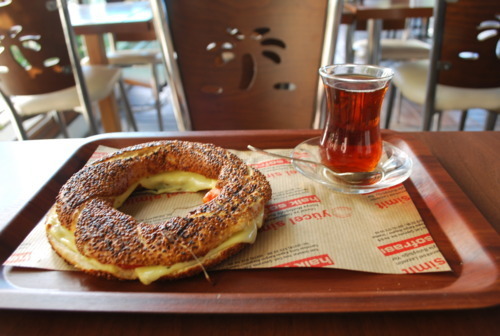 The local bagel topped with sesame seeds, also sold as snack through the day, is toasted with cheese. 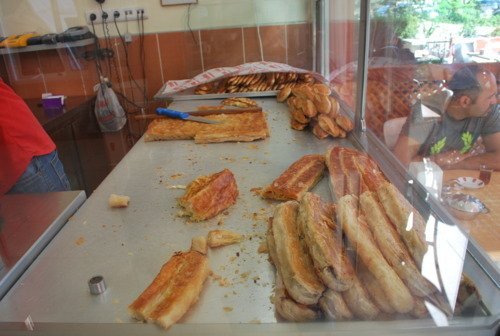 Baklava stuffed with minced meat or spinach is also common. 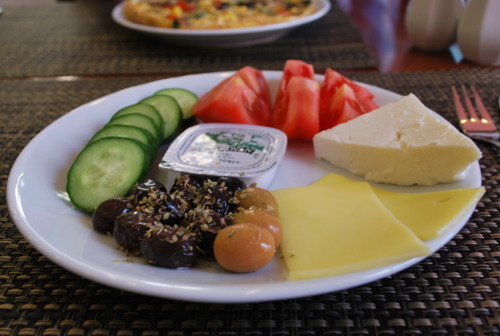 The unusual breakfast, for a foreign, is what they called the breakfast plate – cucumber, tomato, olives, and cheese. My local colleague told me he could hardly imagine a breakfast without olive or cheese. 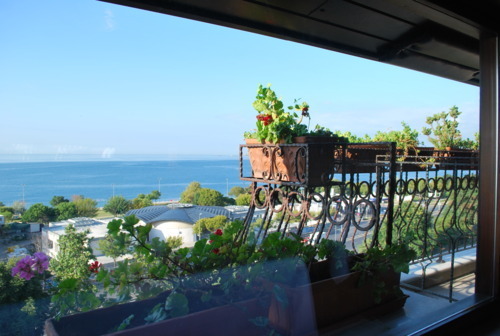 My breakfast at the hostel in the Sultanahmet district was nothing fancy, but largely enhanced by the view from the breakfast room :).